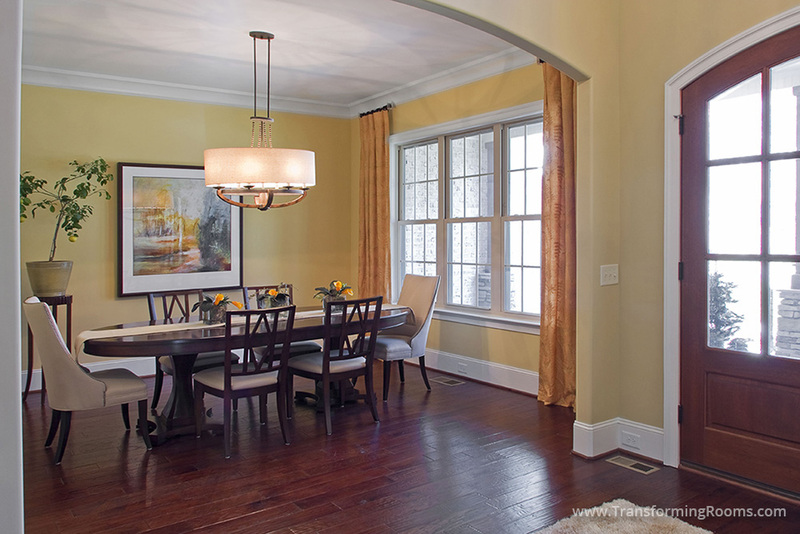 For this Greensboro, NC dining room, we provided custom drapes and art. While the home was still under construction, we specified the shape of the arches, and narrowed down the best options for light fixtures, doors, floor stains, etc. to make this project enjoyable for the homeowners.